It's safe to assume that your marketing efforts began with what initially seemed like a strong content marketing strategy. Over time though, you may have noticed that your inbound efforts haven't been as effective as they once were; or maybe they're exactly as effective as they've always been, but you want to take them to the next level. Either way, the only way to fix your strategy is to update it so it better aligns with what your buyers actually need, rather than what you predicted they might need 6 months or a year ago. So how can you do this? The first step to getting your marketing goals in better alignment with your buyers' needs shouldn't come as much of a surprise. It makes sense that when you started out, you had little to no data to go on. But over time, you should have a reasonably sized backlog of customer analytics to consult. This helps in letting you know what you need to tweak, as well as where it needs to be tweaked, and how. You'll want to pay particular attention to how each buyer navigates your site in order to discover which calls-to-action (CTAs), blog posts, white pages, web pages, etc. 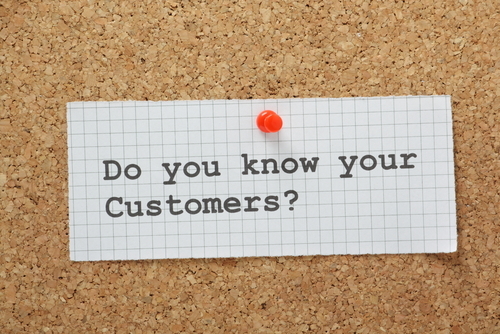 are successfully converting customers and which aren't. Then break it down even further to find which personas are being best served by your efforts. Don't waste your efforts by focusing on the wrong places and personas; directly appeal to the persona(s) that will benefit the most from your content. This means being careful about content and keyword selection, as well as the format you release content in. For example, if your analytics show that buyers who fall in the executive persona prefer to read whitepapers above all else, your latest executive-focused piece will likely fare better as a whitepaper. In terms of creating the content's subject matter, start with your existing content, mapping it to each persona. From there, it's simply a matter of identifying gaps in your funnel and addressing them as needed. While it is important to be selective about your marketing - not only to reduce wasted effort, but also to prevent buyers from being driven away by content that doesn't interest them - it's also likely that your content will be relevant to more than one persona from time to time. That's where repurposing comes into play. By taking material that's relevant to, say, your executive persona, from one format to another, more appealing format, you're better appealing to that persona. So let's say you have a blog series that's targeted largely at HR reps, but is also relevant to executives as well; you can easily repurpose that material into a whitepaper, making it more likely to be read by executives without diminishing the original content's appeal. You've heard it a million times already, but it bears repeating: SEO is important. Turn to search tools to define which keywords can help drive the most traffic to your site considering the language searchers use, and what long-tail keywords you could be capitalizing on. After all, if your content isn't easily found, it's effectively worthless. Keep an eye on your search analytics to keep up with emerging search trends. Better yet, stay ahead of the curve and try to predict which keywords will be relevant before you roll out a new slew of content, and then adjust as necessary. You may have gathered that the theme so far has been to avoid complacency; keep up with trends as they emerge in order to keep up with your customers' needs and how to address them. This doesn't just apply to your buyers, though, but content marketing as a whole. In other words, don't restrict your marketing strategy to merely being reactive. Consider new trends like content consumption patterns across devices, for instance, while continuing to refine your execution. Completely overhauling your content marketing strategy may seem like a lot of work, but it's essential if your current approach isn't helping buyers get what they need. Keeping your customers happy and satisfied is the main goal, after all.